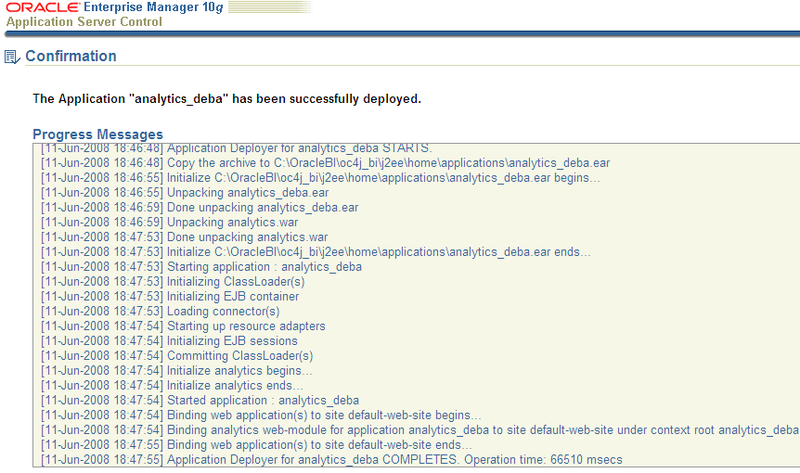 The below text outlines the self-defined process and approach why and how we need to migrate Siebel Analytics to OBIEE . 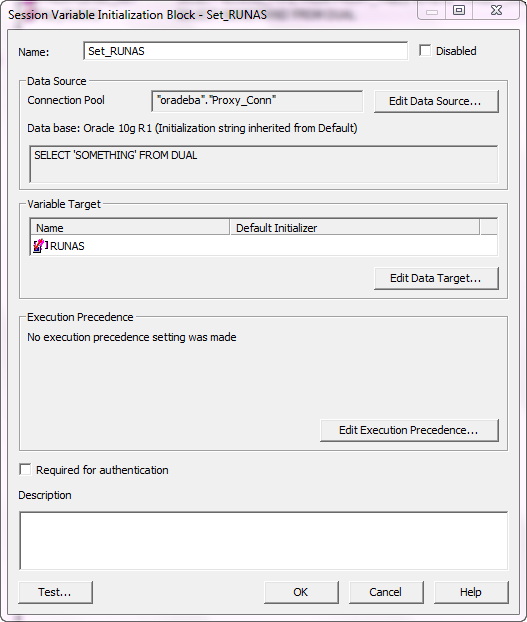 There might be some gaps in the entire definition of the process as the entire view is of mine and I did not face any typical issue while doing the migration , though there are couple of known bugs flying around in OTN discussion forum and in Metalink3 (Oracle Support) . So definitely there must be something ! If there are any specific points(pros/cons) somebody could like to add I will be happy to make the alteration !!! Oracle Business Intelligence (BI) is a portfolio of technology and applications that provides the industry’s first integrated, end-to-end Enterprise Performance Management System, including category-leading performance management applications, MIS applications, BI applications, BI foundation and tools, and data warehousing. Oracle Business Intelligence Enterprise Edition consists of components that were formerly available from Siebel Systems as Siebel Business Analytics Platform, with a number of significant enhancements. 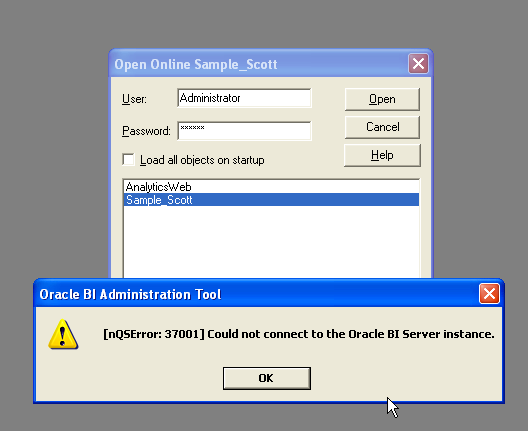 As the “Oracle First” procurement strategy has been defined by some big companies after a close tie up with Oracle hence it force them to decide,move and built the reporting platform on newly release BI component by Oracle called Oracle Business Intelligence(OBI) .This require migration of existing reporting platform from Siebel Analytics to OBI enterprise edition . 5) Because of the 100% web-based and standards based architecture (SOAP) of the OBIEE platform it is very easy to integrate the OBI Presentation Services with a web based application like Siebel CRM or EBS . The pre-built Business Analytics Warehouse (BAW) is one single but modular data warehouse model to support one or a combination of the source systems mentioned. The BAW is compliant with the Ralph Kimball dimensional modelling methodology and supports slowly changing dimensions, aggregate tables, hierarchy tables and many others. 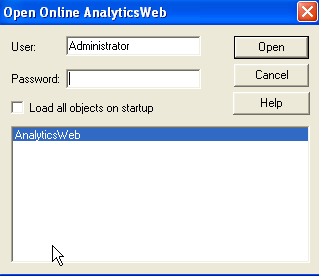 The pre-built OBIEE repository and web catalog are aligned with the Business Analytics Warehouse and contain the domain specific and end user facing dashboards, reports and KPI’s , metrics, drill down paths, guided navigation, alerts, action links, traffic light alerts, etc . There are couple of activities that need to taken care of considering the roadmap of migration from existing Siebel Analytics Platform to Oracle BI EE platform. 1) Take the latest production copy of RPD at Dev Environment and do the version up- gradation. 2) Do the sanity and consistencies check across all Business model and rectify any repository consistency error, metadata warning etc. 3) Migrate it across test environment and Single Sign-On Performance test environment. 1) Take the latest webcat copy for the respective RPD at Dev Environment and do the version up-gradation. 2) Do a sanity check and sort out all the invalid objects and there references, broken links etc after running sawmigrate utility .This need to be taken care of recursively and in reactive approach. 3) Go through all the reports, prompts and links to see everything working properly. 4) Revisit Subject Area, Dashboard, Page, Shared folder, Objects level permissions. 5) Housekeeping for invalid, redundant dashboards/reports/objects. 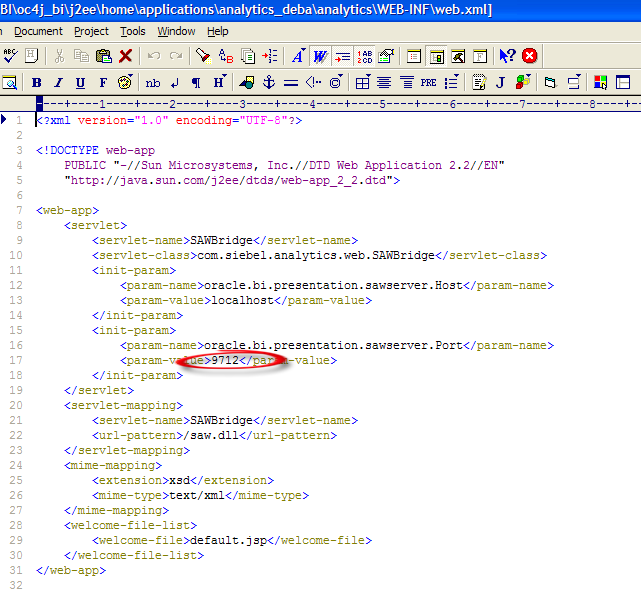 6) Change the ‘Help Information’ HTML paths aligning with new OBIEE installed folder structures. 7) Migrate it across test environment and Single Sign-On Performance test environment. 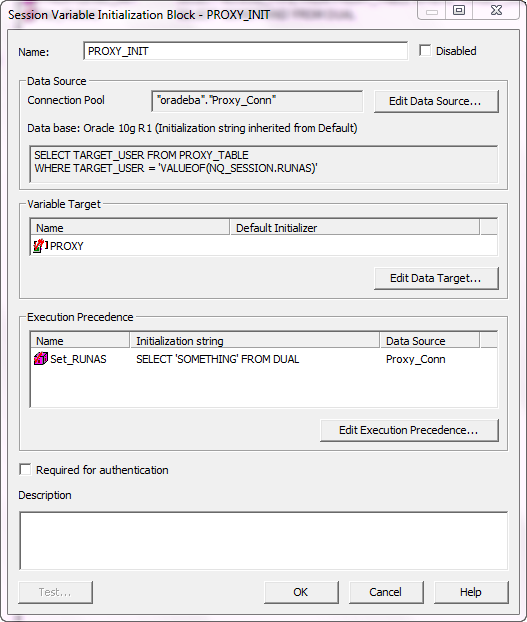 1) Provides a choice to deploy the Presentation Services and Presentation Services Plug-in either standalone Oracle Containers for J2EE (OC4J) or in Microsoft IIS. 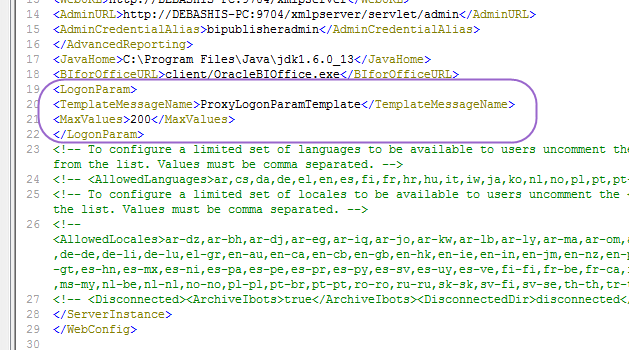 If J2EE will be decided to be the container then IIS need to be removed from all environments and OC4J will be act as HTTP Web server to communicate with Oracle BI Web Client .However existing IIS can act HTTP Web server but this is subject to POC to remove the whole set prior to install the OBIEE copy afresh. 2) Couple of benefits are there using J2EE as Web Container rather IIS which is out of scope of the documentation. 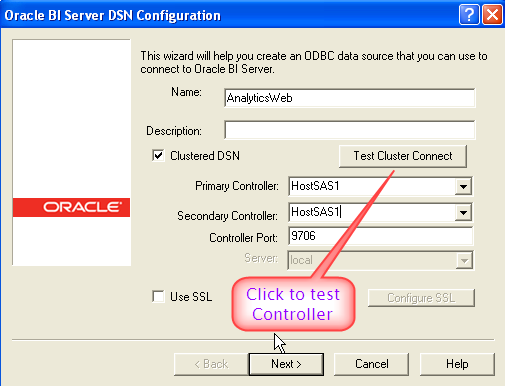 3) Configure the HTTP Webserver using the existing dev/test environment URL and the respective port. Configuring this into existing URL reusing the port is subject to POC and might be altered. 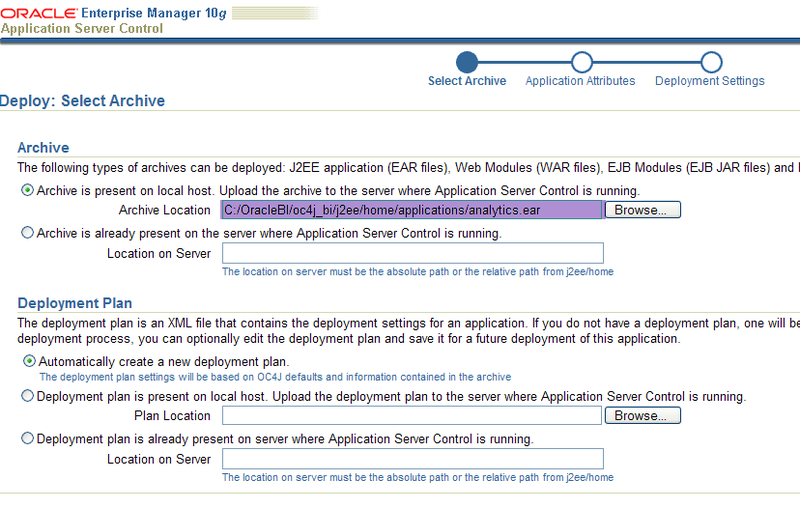 4) Configure the same into Production like SSO enabled environment e.g. 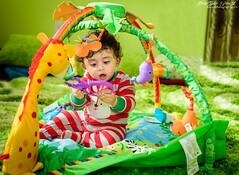 Performance test environment. 5) Check the SSO functionality for authentication and authorisation. Also verify the same for any data and object level of security. 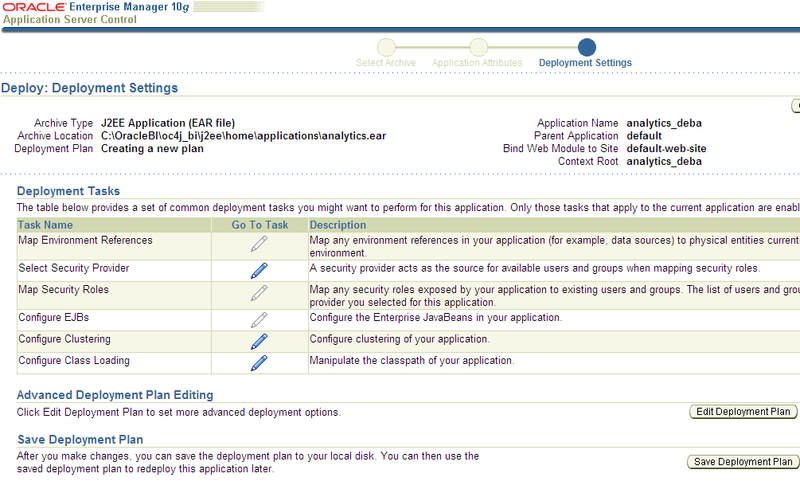 6) Deploy the RPD-Webcat at Production environment having basic functionality in place. 7) Any URL Port change for J2EE HTTP Server configuration need to reflect to Order Gateway URL, BI Arena URL and need communicate across users. 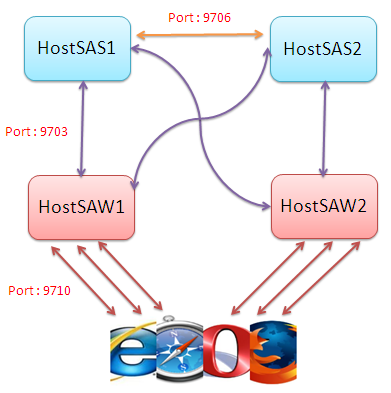 8) Alternatively IIS Web server can be redirected to new HTTP Server configured URL which is of no impact to anywhere. 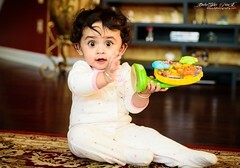 This is subject to POC again. 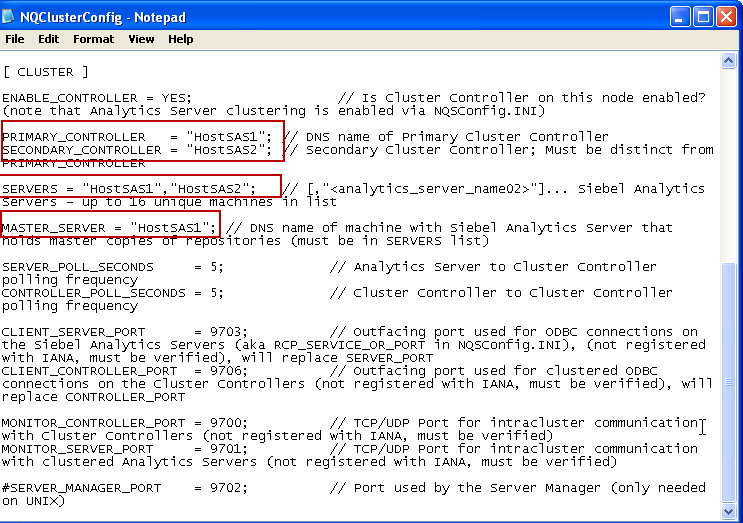 9) Revisit production server hardware configurations to see the capabilities. 1) Change the Skin file path default configuration parameters as per the new windows folder structure of OBIEE deployment. 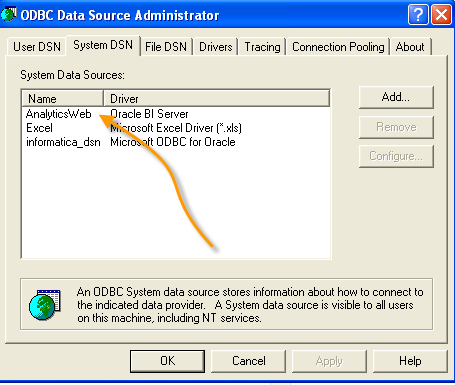 3) Make the respective changes on OBIEE Analytics and Presentation Server configuration files. 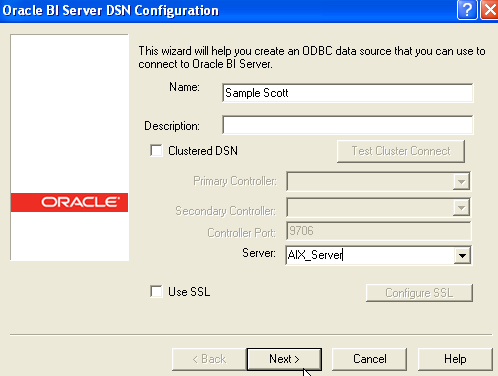 4) Take the Oracle best practice approach to define the performance parameters as per the current Production hardware environment setup and Production DB Configuration parameters. 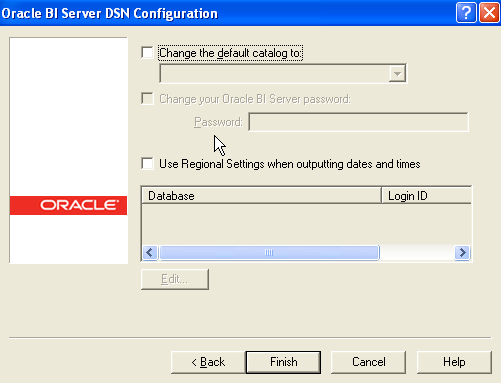 5) Configure the clustered environment setup for BI Server at production for replication. 6) Define the strategy for failover/ load balance presentation services. Below additional components is not available in default setup and can be installed and configured depending on the requirement to leverage the other business benefits and experiencing the new version features at maximum. 6) Configure the Caching Strategy. 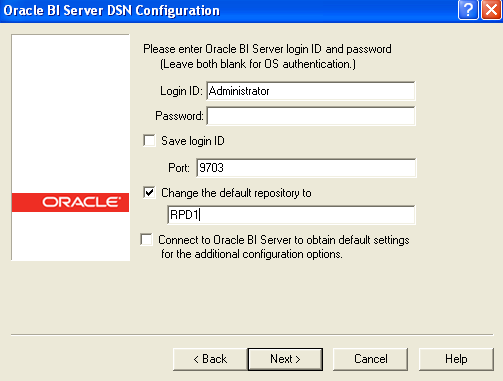 We have a requirement to switch between the DB’s based on the user login. We have two identical/similar databases with different connection string and different DB user/Schema name and password corresponding to that schema . But based on the users who logged in the report, the connection should switch. 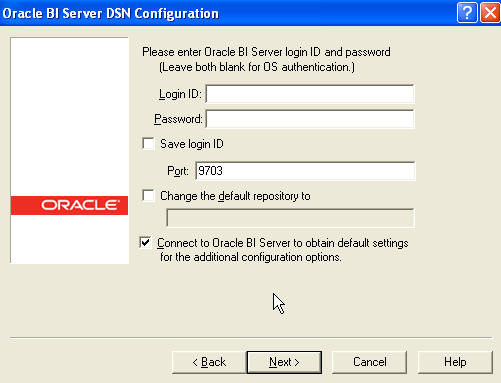 Also one more objective we need to fulfill here is that the password of the database schema that will be stored should be encrypted so that nobody can tamper this and obviously due to reason of security violation and it should be decrypted by the OBIEE before connect to that database schema . — Declare the values for the key. — The package will be wrapped to hide the encryption key. 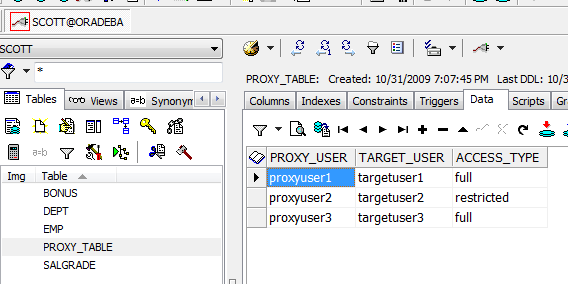 2) Add the ‘DB_DETAILS’ table against ‘Proxy_Conn’ . 3) Add the relevant data against ‘DB_DETAILS’ table . 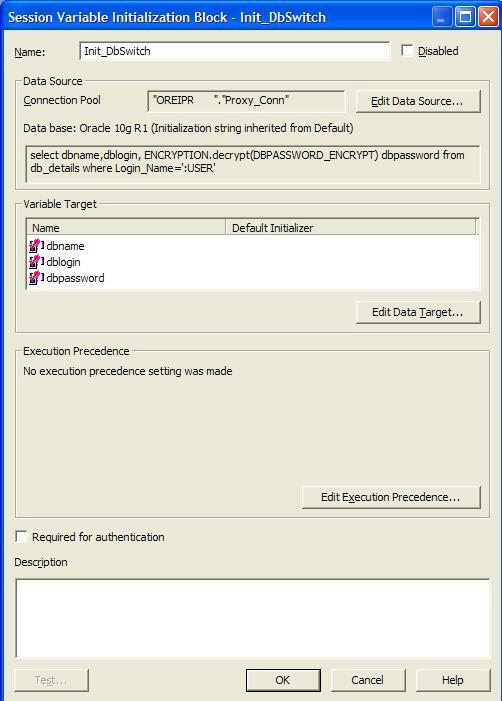 4) Make sure you have two database configured properly with above credentials .Update the DBPASSWORD_ENCRYPT field by running . Note that the DBPASSWORD column would have no use for this POC . This is for reference only . 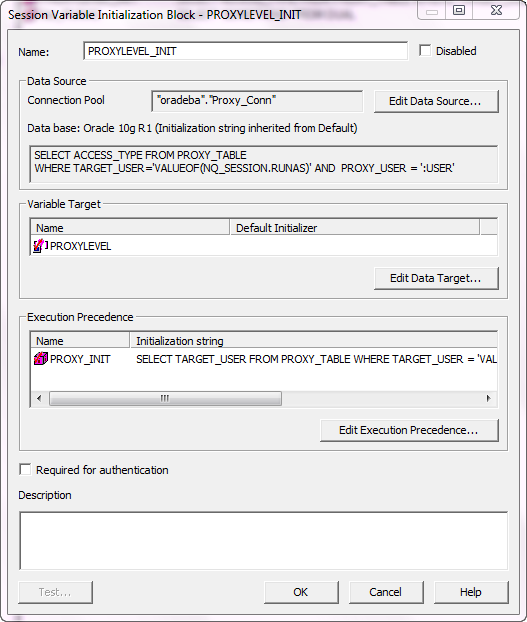 5) Create the below Session Var Initialization Block . Here I am decrypting the password and assign it to a variable called ‘dbpassword’ . 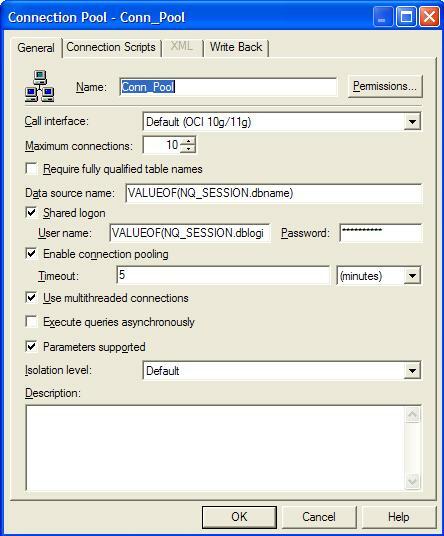 7) Create the Subject Area ‘EMP_DEPT_DB’ depending on the database ‘ORBIT’, Connection pool ‘Conn_Pool’ . Assign the Physical join , Logical join properly in the conventional method. 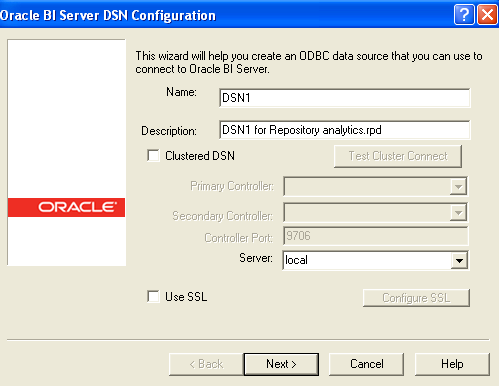 8) Now create two users in repository as ‘deba’ and ‘rosy’ . 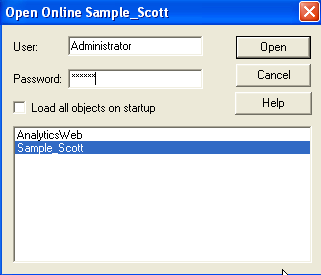 According to that setup when you entered thorough ‘rosy ‘ you should be able to see data for ‘EMP’ and ‘DEPT’ table from database : ‘ORBIT’ while user ‘deba’ will be able to see the data from database ‘OREIPR’.Note that in both cases only one Subject area has been used but the data differs depending on logged in Users from different databases.